Designed to optimise and simplify your Atomos video workflow, the ev Series Reader Atomos Master Caddy Edition leverages high-performance connectivity for fast Atomos content transfers and backup. Atomos creates easy-to-use solutions that merge recording, monitoring, and playback into a single touchscreen device that enables faster, higher quality, and more affordable video production. It is the latest accessory in the Evolution Series of high-performance, flexible storage solutions. 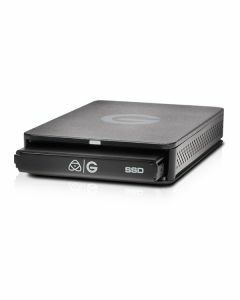 Transfer content quickly from your Atomos recorder into any ev Series-compatible or other G-Technology storage solution. When shooting on-the-go, use it as a stand-alone device to review, log and back-up footage.